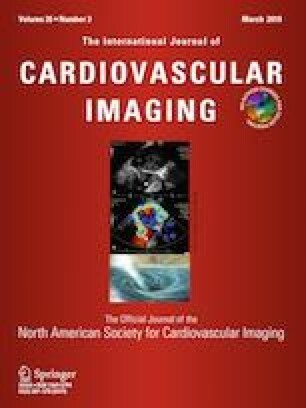 This study aimed to evaluate left atrial (LA) remodeling and fibrosis in paroxysmal atrial fibrillation (AF) using speckle tracking echocardiography (STE) based on the findings with radiofrequency catheter ablation (RFCA) so as to predict atrial remodeling prior to ablation. A total of 40 patients with paroxysmal AF were enrolled and divided into two groups based on LA bipolar voltage detected during RFCA: those with low-voltage zone (LVZ) (LV group, n = 19) and those without LVZ (non-LV group, n = 21). The segmental and global LA reservoir, conduit and contractile strain (εs, εe, εa) were analyzed using two-dimensional STE before RFCA. The segmental and global εs, εe, εa (%) decreased in the LV group. Especially, the εs in anteroseptal upper (18.32 ± 7.94 vs. 31.61 ± 9.39) and lower segments (16.60 ± 7.23 vs. 29.23 ± 9.81), posteroseptal upper (22.24 ± 6.65 vs. 32.23 ± 10.57) and lower segments (18.24 ± 6.49 vs. 26.40 ± 7.12), and the global εs (23.85 ± 6.74 vs. 30.48 ± 8.67) significantly decreased in the LV group than in the non-LV group (all P < 0.05). The εs ≤ 24.07 in the anteroseptal upper segment was an effective parameter to differentiate the LV group (sensitivity, 84%; specificity, 81%, P < 0.001). Besides, global εs tended to be an independent determinant of the LVZ (odds ratio 1.347, P = 0.046). STE enables a noninvasive method to evaluate LA remodeling prior ablation. Yilin Chen and Zheng Li have contributed equally to this work. The authors thank all the members of the hospital for their assistance. All co-authors equally collaborated to the drafting, revision, and final approval of this manuscript. National Key Research and Development Program of China (2016YFC1301203), Shanghai Jiao Tong University (YG2016MS45, YG2015ZD04).